Host a Keepitcrafty Meet-up in your neck of the woods. Through local Meet-Ups, Keepitcrafty wanted to bring together like-minded people who craft as a hobby, for pleasure, or business to share and connect, while cultivating the crafting experience. What type of Meet-up? Scrapbooking, photography, quilting… the possibilities are endless. You be the host, and we provide you with the Keepitcrafty Meet-Up essentials. 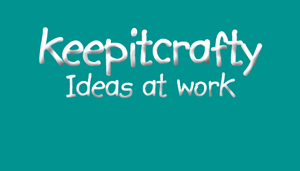 Welcome to KeepItCrafty, an online marketplace designed to list and showcase your handmade and collectible gift items. 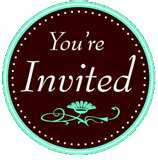 Our categories include baby items, collectibles, greeting cards and paper crafts, along with jewelry, pottery, wood work and more. FREE TO POST: Keepitcrafty is ready to serve you. List your items on our site for FREE, or open a store. We make money only when YOU make money!!! Our commission is only 3% of each sale. The keepitcrafty team is working hard to provide our community members with the best online experience possible. Each month we will host, #CraftChat on Twitter, discussing various topics and trends. We will also offer promotions as rewards for community members. Starting in January we’ll feature crafters, and listed items several times a month, cross promoting them on other social media outlets. Together, let’s put our ideas to work! For more keepitcrafty “Like” us on Facebook, or follow us @keepitcrafty on Twitter.